At Blue Dog RV Portland, we’re the link between you and an exciting adventure. Visit our dealership in Portland, Oregon, to explore our vast selection of recreational vehicles of different styles, capabilities, and manufacturers, ranging from travel trailers to motorhomes. Whether you’re looking to buy or rent the RVs for sale in Portland, OR, we have the recreational vehicle for you. We offer a variety of unique new and used RVs including fifth wheel campers, motorhomes, and travel trailers. 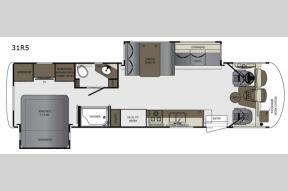 Inside most fifth wheel campers you will find a queen-size bed, large full bathroom, and a variety of additional amenities. 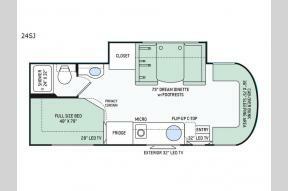 Enjoy all of the comforts of home and more in a motorhome. And for an effortless travel experience, just hitch your travel trailer to your compatible vehicle and go. For additional accessories to accent your new RV, stop by our parts center. And when it’s time for your RV to be serviced or repaired, schedule an appointment with the technicians at our service center. At Blue Dog RV Portland, our caring staff members are always willing to lend a helping hand. For more information, contact us or call our dealership at (877) 583-9352.